“This is particularly evident today, in the face of the arrival of migrants and refugees who knock on our door in search of protection, security, and a better future,” Francis said. The pope spoke these words at a Mass at the Fraterna Domus center outside Rome “in order to highlight his constant attention to the welcome of migrants,” Vatican News stated. 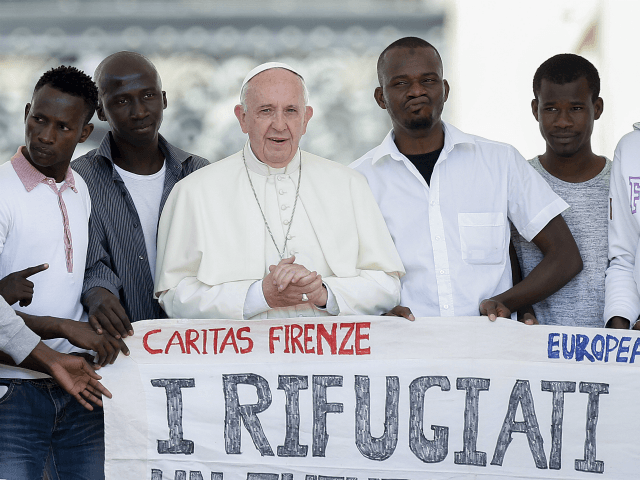 Francis celebrated the Mass to kick off a three-day meeting titled “Free from Fear,” organized by the Migrantes Foundation, Italian Caritas, and the Jesuit-run Astalli Center for Refugees, to discuss reception structures for migrants. Throughout his six-year pontificate, Pope Francis has insisted that immigration and the care of migrants are primary concerns for Christians and should not be considered a second-tier issue. In his 2018 apostolic exhortation bearing the Latin title Gaudete et Exsultate (“Rejoice and Be Glad”), for instance, the pope said Christians have no right to treat the plight of migrants as a minor moral issue because Jesus commanded his followers to welcome the stranger.